We always love the mystery behind a portrait jewel! How will her story and yours connect? 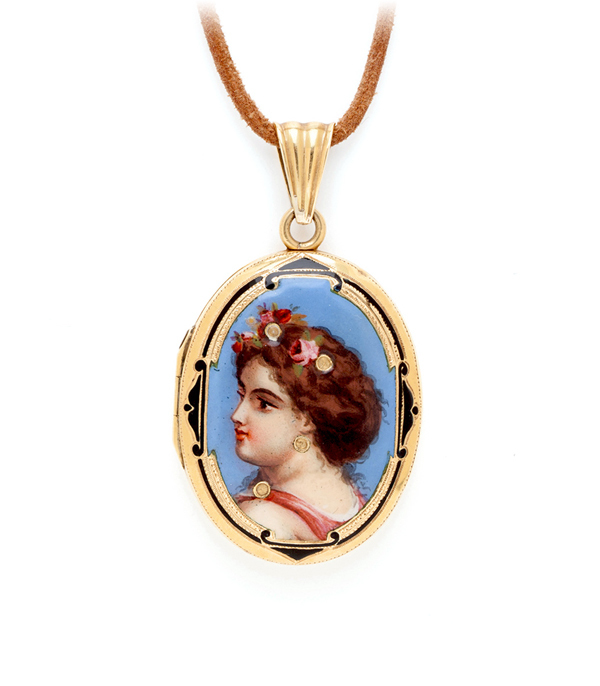 This 18K and enamel maiden locket is the picture of romance. We love the updated look of this vintage piece on an adjustable leather cord, though it can easily be removed and worn on your favorite chain. Categories: Art Nouveau Jewelry, Vintage Necklaces.